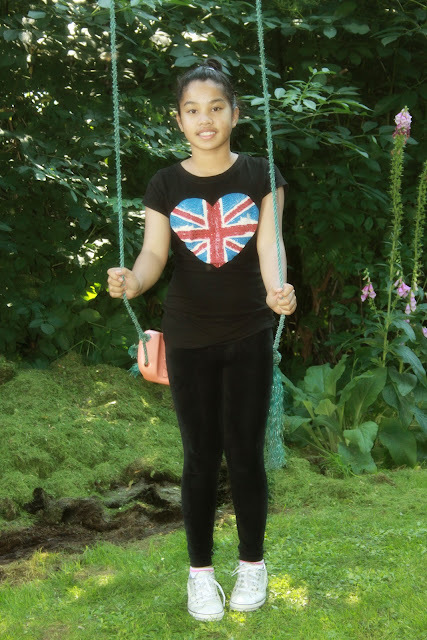 This was taken when we were down in South of England visiting the family last 22 of July 2012 (Sunday). Stayed over for the weekend and yes, it was another memorable day at my in-laws place. The kids as always had the loveliest time playing along with their cousins. Just so precious to watch them getting on well. I took tons of picture as ever, shared it all in my networking sites as you all know. Here's my daughter showing off her ability to back-bend. I used to do this when I was young and flexible enough but now, it's a little risky already. I might end up in the hospital with a cracked joints. 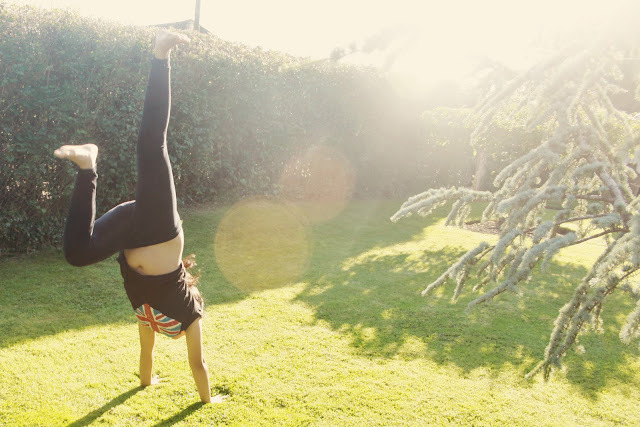 Hand stand, isn't it cool? My brother used to do this hand-stand and hand-walking and he was really good. At my in-law's garden. Thought of capturing this look for keepsake. 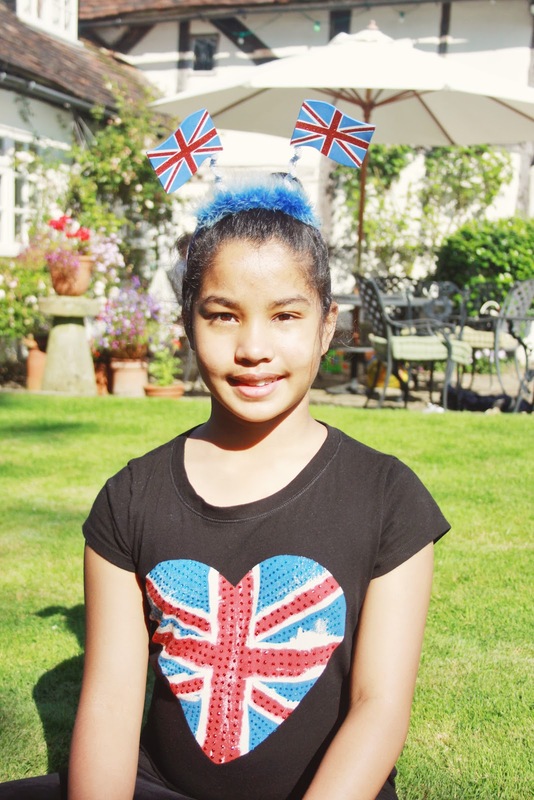 Union Flag headband and shirt. Cool and proud to be British! She's just look too grown up now. 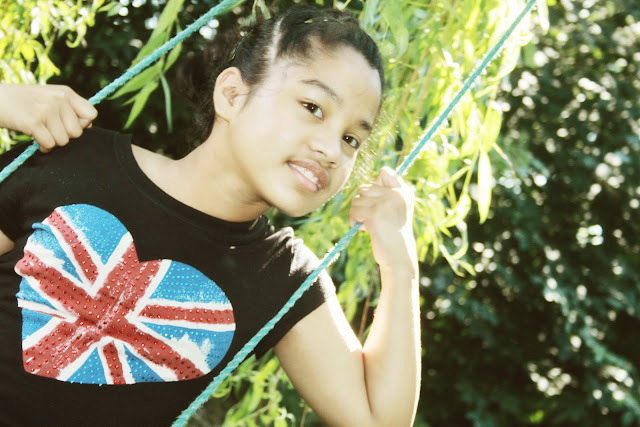 My babygirl - oh! All black and British, hehe.